Find places to stay that are pet friendly in San Francisco, CA and other fun things to do. View our list of attractions, activities, events, restaurants and visitor information. A tranquil waterfront perch that's within 30 minutes of San Francisco earns a high ranking from our guests for the non-smoking Acqua Hotel. Free Breakfast, Pets Allowed, Non Smoking Rooms. Set 4.4 km from San Francisco City Hall 5 km from Lombard Street and 5 km from Ghirardelli Square Alluring 1BR With Backyard Near Golden Gate Park provides accommodation situated in San Francisco. The accommodation is 6 km from Union square. Free Internet, Pets Allowed, Non Smoking Rooms. Aloft San Francisco Airport offers our guests an indoor pool 24-hour eats and free Wi-Fi in spacious pet-friendly rooms. Free Internet, Swimming Pool, Indoor Pool, Pets Allowed, Non Smoking Rooms. Retro-style rooms free Wi-Fi an outdoor heated pool and Yerba Buena Gardens four blocks away make the non-smoking Best Western Plus Americania a great pick for our guests. Free Internet, Swimming Pool,Outdoor Pool, Restaurant, Pets Allowed, Non Smoking Rooms. Currently as low as $234.32/night! 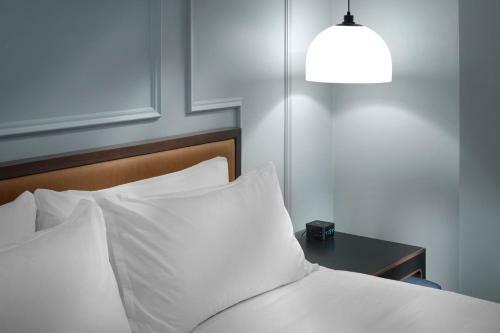 A prime Fisherman's Wharf location a restaurant with room service and luxurious spa services make the Argonaut Hotel a gem in central San Francisco. Free Internet, Restaurant, Pets Allowed, Non Smoking Rooms. Currently as low as $167.00/night! Vintage San Francisco charm comfy accommodations and the cable cars right outside are prize-winning features for our guests at the historic non-smoking Powell Hotel. Built in 1908 the six-floor Powell Hotel evokes the gracious San Francisco of yesteryear. Free Internet, Indoor Pool, Restaurant, Pets Allowed, Non Smoking Rooms. Free Wi-Fi non-smoking rooms valet parking and a pet-friendly policy are part of the charm at this unique and historic Nob Hill boutique hotel. Free Internet, Pets Allowed, Non Smoking Rooms. Our guests are treated to a complimentary breakfast free Wi-Fi and an outdoor pool at the non-smoking Best Western Danville Sycamore Inn. The non-smoking Best Western houses 62 rooms along two floors with exterior and interior corridors. Free Internet, Swimming Pool,Outdoor Pool, Pets Allowed, Non Smoking Rooms. Landscaped gardens free Wi-Fi and the Sonoma County Fairgrounds less than one mile away are crowd pleasers with our guests at the non-smoking Best Western Garden Inn. True to its name the Best Western is set in quiet garden surroundings with views of the mountains. Free Internet, Swimming Pool,Outdoor Pool, Restaurant, Pets Allowed, Non Smoking Rooms. Paying homage to the famed naturalist the Best Western ohn Muir Inn offers our guests comfort and tranquility in a coveted location. Free Internet, Swimming Pool,Outdoor Pool, Pets Allowed, Non Smoking Rooms. Free hot breakfast free Wi-Fi a heated outdoor pool and Charles M. Schulz Museum two miles away beguile our guests at Best Western Wine Country Inn & Suites. Free Internet, Swimming Pool,Outdoor Pool, Pets Allowed, Non Smoking Rooms. Currently as low as $390.15/night! Overlooking San Francisco Bay and the Golden Gate Bridge the non-smoking Cavallo Point offers cooking classes on-site restaurant full-service spa free yoga class and free Wi-Fi. Free Internet, Swimming Pool,Outdoor Pool, Free Breakfast, Restaurant, Pets Allowed, Non Smoking Rooms.